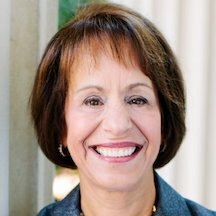 In a surprise announcement, Carol L. Folt, chancellor of the University of North Carolina at Chapel Hill, announced that she planned to step down at the end of the academic year. The resignation announcement was made while the University of North Carolina System’s board of governors was in an emergency session meeting on “issues related to UNC-Chapel Hill’s leadership,” according to board chair Harry L. Smith Jr. The board was not notified in advance of Chancellor Folt’s decision. In a statement, Smith said that “we are incredibly disappointed at this intentional action. it lacks transparency and insults the board’s goal to operate with class and dignity.” The board later met and decided to accept Dr. Folt’s resignation effective January 31, not at the end of the academic year, as she had wished. When announcing her resignation, Chancellor Folt also ordered the removal of the pedestal upon which “Silent Sam,” a statue of a Confederate soldier that had stood at the entrance to the university until it was toppled by protestors last summer. In explaining her decision, Chancellor Folt said that “the presence of the remaining parts of the monument on campus poses a continuing threat both to the personal safety and well-being of our community and to our ability to provide a stable, productive educational environment. No one learns at their best when they feel unsafe.” A 2015 North Carolina law prohibits the removal of “objects of remembrance” from public property without the approval of the legislature. Dr. Folt became chancellor of the University of North Carolina at Chapel Hill on July 1, 2013. She is the first woman chancellor of the Chapel Hill campus. When she was appointed to the position she was serving as interim president of Dartmouth College in Hanover, New Hampshire. Prior to being elevated to interim president, she served as provost from 2009 to 2012. Previously, Dr. Folt was the inaugural holder of an endowed chair in the biological sciences and had served as dean of the faculty and dean of graduate studies. She joined the Dartmouth faculty in 1983. Dr. Folt earned a bachelor’s degree in aquatic biology and a master’s degree in biology from the University of California, Santa Barbara. She holds a Ph.D. from the University of California, Davis.